David Lynch is most well known as the director of films such as the Elephant Man and Mullholand drive. As a film maker Lynch is currently one of the most interesting minds working within American cinema. Every film of his (as well as his hit tv series Twin Peaks) can be viewed in many ways as purely American. They are a celebration of the Americana and Lynch captures it in his use of sound, visuals and characters. However Lately, Lynch has stepped away from the screen and moved over to the world of music, his most recent artistic work was his 2011 album Crazy Clown Time. 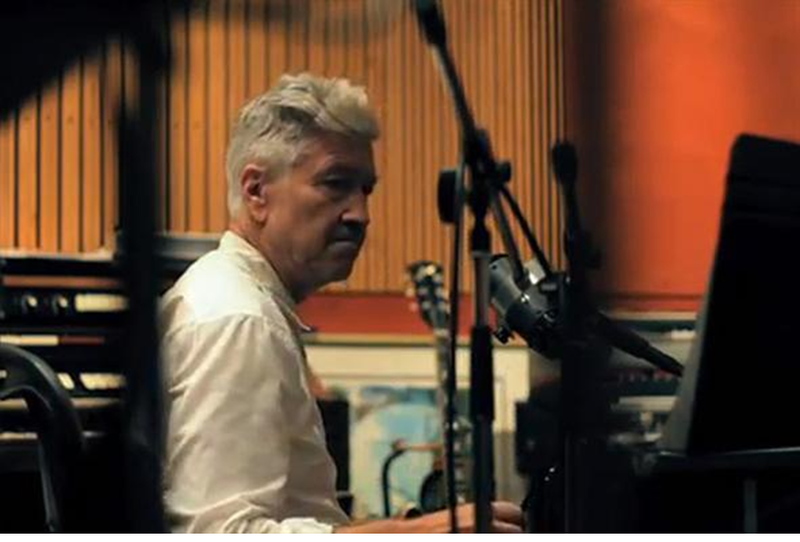 Lynch has now continued his work in music with his follow up album The Big Dream and as is to be expected, the album is a mysterious, strange and totally unique world that is somewhat difficult to embrace . I feel the need to point out that I am huge David Lynch fan and so I am very much accustom to the kind of world he creates in all of his artistic endeavors. Lynch, as do most good artists, carries a very particular style throughout all of his work. Be it music, film, painting or sculpture you can generally tell that something is his through its lynchian traits if you will. This album is no exception, dark, slow, moody jazz inspired music, it does sound like many of his films. Practically, his most recent film Inland Empire from 2006, that films music (which use lynch as a vocalist) is very similar in tone and so just as inland empire was his most meditative film, The Big Dream is a very slow, meditative musical experience. This is not an album that throws fun tracks at you; it simply flows from beginning to end with a lot of bass guitar and ambient sounds. Occasionally you will get the odd distorted ripping guitar sounds but once again this is very Lynchian in the sense that he loves to juxtapose the meditative with violent electric distortion. In comparison to Lynch’s previous record, this is much more basic. Crazy Clown Time does for a large part live up to its name, it is a fairly loose collection of strange tracks with Lynch’s 67 year old nasally voice layered overtop, edited and synthesized to hell. The Big Dream is more natural, yes there are times where Lynch’s voice is synthesized and times where he uses rather unfamiliar electronic sounds but overall the album is more concerned with its gentle pacing than electronic exploration. However Lynch’s vocals are really not for everyone and where as Crazy clown time offered something for lovers of electronic experimentation, this album really demands that you enjoy lynch both as a song writer and vocalist. The lyrics on the album sound like dialog from his films and follow very much the same pattern and character types. Almost all of the songs on this album are about love, or rather about women and the love and desire they can create. He creates specific characters in each song, characters that feel so American and such a part of his world so any fan of Lynch will probably love this album, however if not, you may find it a little hard to access due to its unconventional nature and sound. Overall the album works but really it only works as a meditative singular experience, that is to say you will probably find it most enjoyable if you sit down and give time to listen to the whole thing, honestly, it would probably go down really well with a joint. Stand out tracks on the album include the line that curves, Lynch’s cover of Bob Dylan’s The ballad of Hollis Brown and I’m waiting here which is the only track to feature a different vocalist, Lykke Li. Like Pinky’s Dream from his first album which featured Karen-O, the use of a strong female vocalist makes this the most memorable and accessible track. Although the album is rather beautiful in its own way due in large part to the unique feelings evoked by Lynch’s voice, I will say that I wait for the day in which lynch releases an album in which he uses all female vocalist. Lynch loves women and he seems to know just how to use them right in an artistic setting. His films feature some of my favorite images of femininity ever put on the screen and you can tell that if there were a larger use of female vocals in his music it may be that little more accessible, and the little bit more powerful, however until then, The big dream is still a lovely addition to the surreal world of David Lynch.